Vicki Pallister wakes up in her own past – before the she met the Doctor, before the crash of the UK-201, before the death of her father. Now Vicki has a chance to change everything, but will her efforts to prevent one tragedy only cause another…? This tale’s time-bending premise affords a chance to revisit the origins of the character of Vicki. 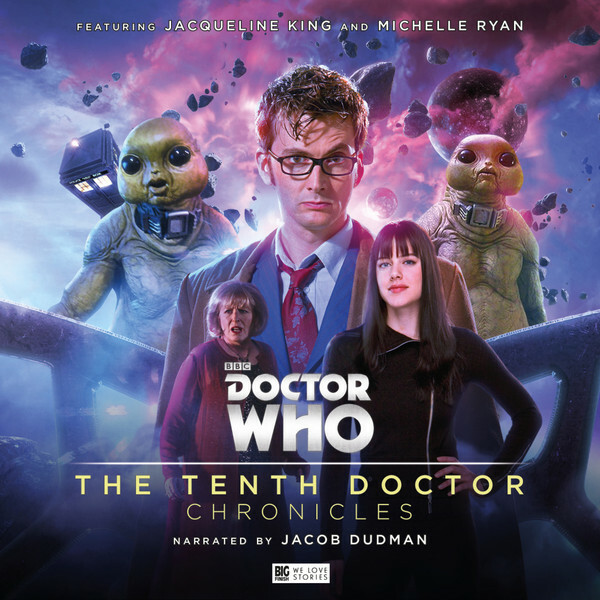 Seasoned Big Finish scribe Jonathan Morris (Protect and Survive, Static) is adept at integrating this kind of temporal trickery with strong character drama and so should bring Series 5 of the Early Adventures to a powerful conclusion. A 5CD boxset starring Sylvester McCoy as the Seventh Doctor, featuring his original-to-prose companions Roz Forrester and Chris Cwej – a pair of 30th century Adjudicators who have a buddy-cop dynamic – brought to life by Yasmin Bannerman and Travis Oliver. Four new scripts in the vein of the New Adventures – the books that kept Doctor Who going in the ’90s after the classic series came to an end. 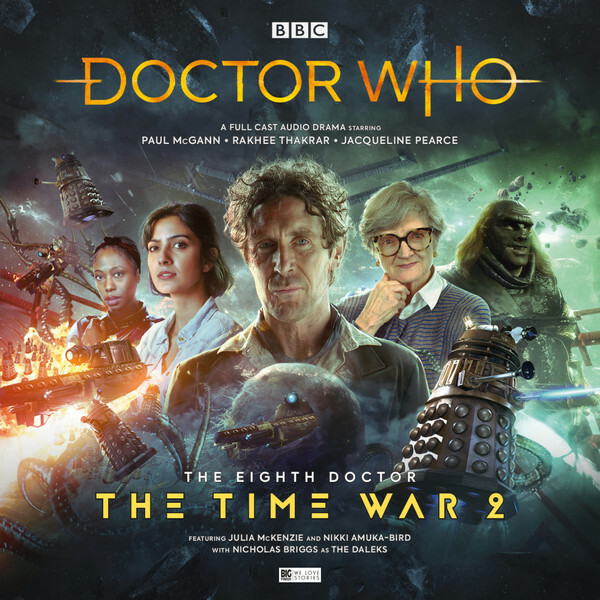 There’s a chilling horror in a grieving household, a mathematical mystery on the fringes of the Second World War, a wartorn planet where towering robots patrol the surface for survivors, and a trial that could result in the Doctor losing the TARDIS forever. This set provides newcomers to the New Adventures with a opportunity to dip their toe into this often overlooked but highly influential era of Doctor Who’s history, while seasoned fans of the novels are sure to get a nostalgic hit. Big Finish have hand-picked a great line-up of writing talent – including Roz and Chris’ creator, Andy Lane – to continue the New Adventures ethos of bringing more breadth and depth to the Whoniverse. When an archaeological expedition unwittingly unleashes demonic forces, it’s up to River to put a stop to them before all of time – not to mention her relationship with her husband – is unravelled. Along the way she’ll encounter her old academic rival, run for her life from her evil robot double and solve a murder mystery with absurdist author Franz Kafka…! The overarching villains of this series, the Discordia, are a brilliant concept – devilish time-pirates who manipulate history so the odds always fall in their favour. This 5CD set also features the long-awaited meeting of iconic curly-haired time travellers – the charismatic combination of Alex Kingston and Tom Baker is bound to be a memorable double act. 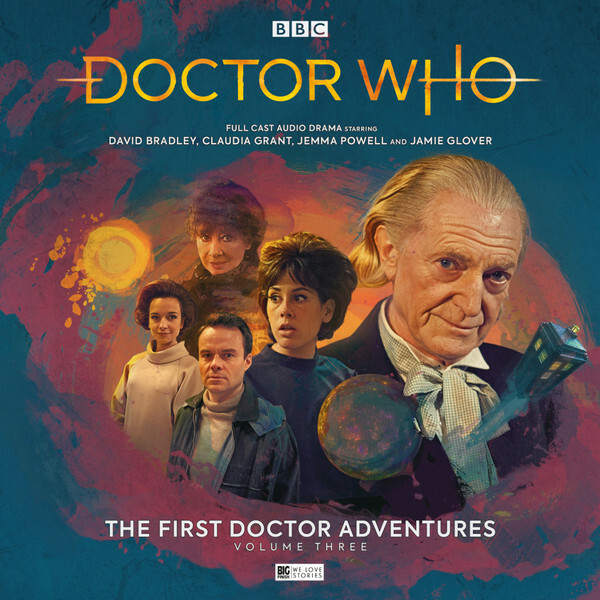 Two First Doctor audio adventures in a 5CD boxset, starring the cast of An Adventure in Space and Time – David Bradley as the First Doctor, Claudia Grant as Susan, Jemma Powell as Barbara and Jamie Glover as Ian. Also featuring a special guest performance from Carole Ann Ford – best known as the original Susan! The travellers find themselves entangled in a historical dilemma of the ancient world in Marc Platt’s The Phoenecians, while Tick-Tock World by Guy Adams sees the travellers marooned in a sideways dimension outside space and time, watched over by a mysterious woman… The two four-part adventures in this set continue the great traditions of the early era of the programme, with a richly drawn historical followed by an imaginative science-fiction tale. Platt’s script should play to his strengths in world building and mythology, while the true nature of Carole Ann Ford’s character and her relationship to the TARDIS crew should add plenty of intrigue to the second half of the set. 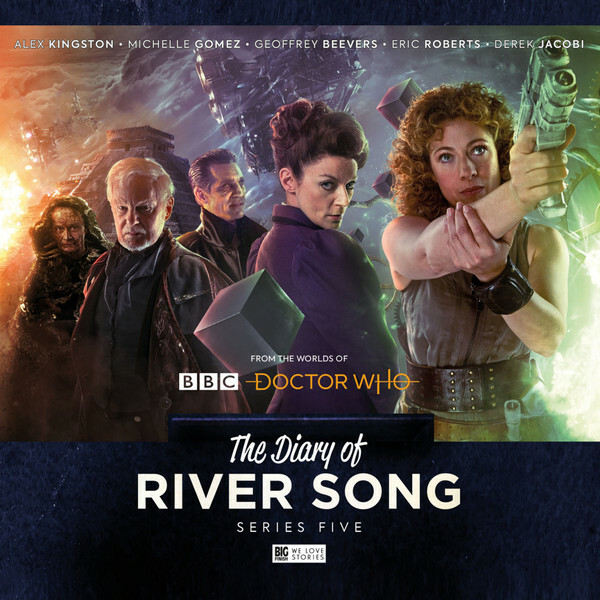 Alex Kingston stars in this 5CD set as River Song, the Doctor’s adventurous archaeologist wife, alongside Geoffrey Beevers as the Master, Eric Roberts as the Master, Derek Jacobi as the Master and Michelle Gomez as the Master Missy. A four-part anthology of adventures, with River facing a different incarnation of the Master in each. There’s a prison escape with Missy, an archaeological adventure with the decayed Master, a story of survival with the Bruce Master and a reckoning in deep space with the War Master… Each of the previous River Song series has featured the Doctor in some sense – this release sees River unshackled, going toe-to-toe with a big-name villain who is sure to give her a run for her money. 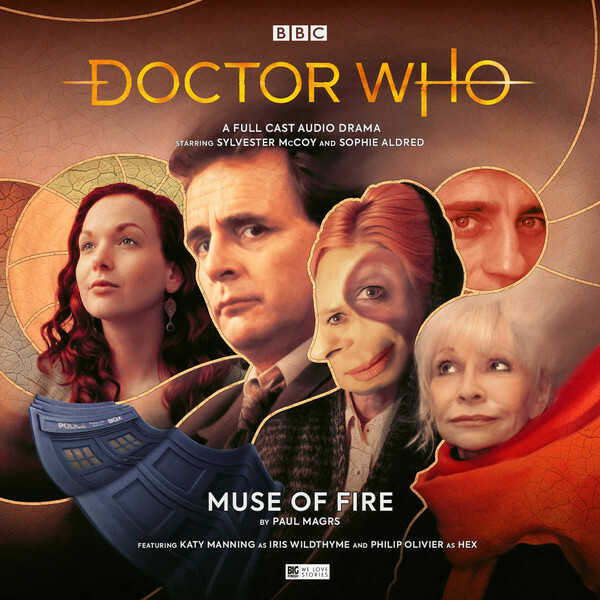 Eric Roberts is on board in his first Doctor Who project since the TV Movie in 1996, and Michelle Gomez’s Missy becomes the first major Twelfh Doctor era character to receive the Big Finish treatment, lending this set an extra frisson of excitement. The Doctor finds himself drawn closer to the heart of the conflict in this quartet of adventures set during the early stages of the Time War, visiting a twisted world that was once home to his companion, meeting an old enemy with a new face and waking in a prison designed for the most evil beings in the universe before finally being forced into battle… This set sees writers Jonathan Morris (We Are The Daleks), Guy Adams (The War Doctor: Pretty Lies) and Timothy X Atack (The Wreck of the World) throw some out-there elements to the Time War, introducing the Twelve – the new ‘little old lady’ incarnation of the villain previously known as the Eleven – as well as an intriguing new take on the Dalek’s old henchmen, the Ogrons. The Time War is about to get stranger. The Doctor tries to take his friends somewhere relaxing, but both a visit to Liv’s home and a festive treat in Austria are filled with more danger than the Doctor bargained for. 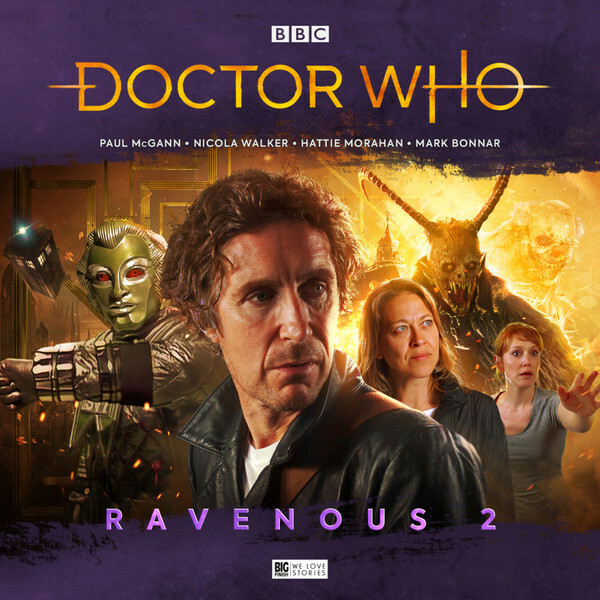 Meanwhile, the true horror of the Ravenous threatens to emerge from the shadows… The set boasts the return of old favourites the Kaldor robots (from classic Fourth Doctor adventure The Robots of Death) as well as recurring Eighth Doctor audio villain the Eleven. There’s plenty new to be found as well, with a decidedly demonic double-length Christmas adventure and the first appearance of the titular Ravenous bringing an element of horror to the fore. A Full Cast miniseries in a 3CD boxset. 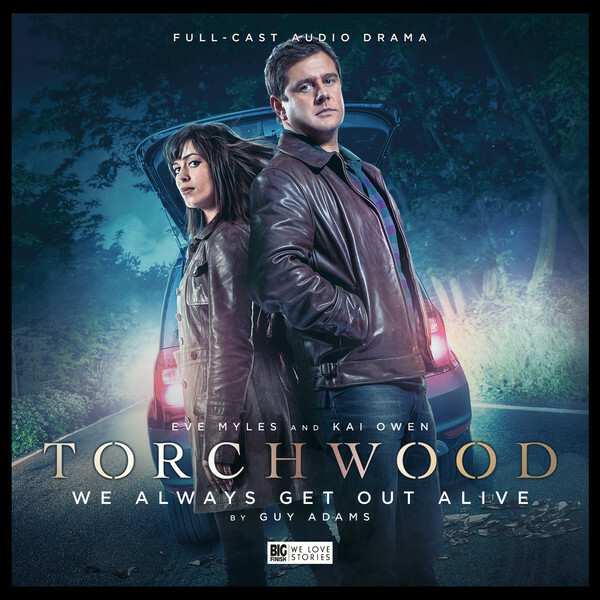 Starring John Barrowman as Captain Jack, Eve Myles as Gwen Cooper, Gareth David-Lloyd as Ianto Jones, Naoko Mori as Toshiko Sato and Burn Gorman as Owen Harper. Guest-starring Mac McDonald as Steve Ross and Arthur Darvill as Frank Layton. The Church of the Outsiders believe that mankind must ascend to the stars in order to evolve. Dr Owen Harper believes that the Church is a dangerous cult that must be stopped. Captain Jack Harkness believes he may be the Church’s salvation… Why grab it? Whilst all the leads have starred in their own adventures for Big Finish, this is the first time all five of them have been brought together for a classic Torchwood tale. It’s a real ensemble piece, with each of member of the team given their moment to shine. With Guy Adams (More Than This, Outbreak) on writing duties, this 3CD box set could be one of the highlights of the year. 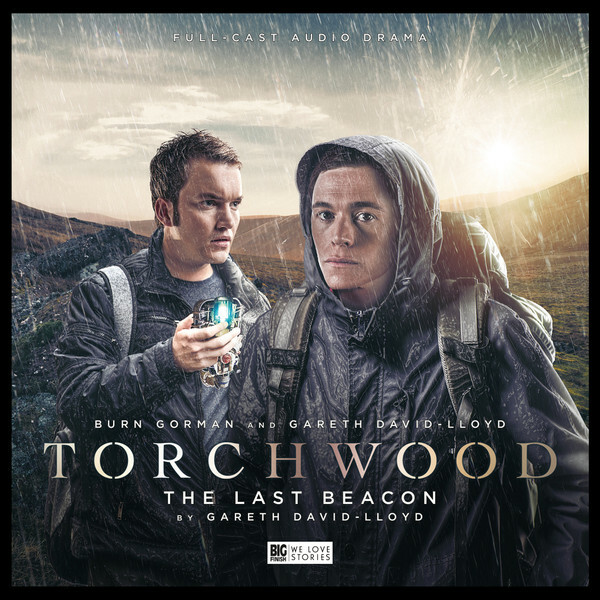 A Full Cast Audio Adventure on a single CD, starring Burn Gorman as Owen Harper and Gareth David-Lloyd as Ianto Jones. Deep in the Welsh countryside, an alien signal calls an ancient battlefleet to Earth. Two Torchwood agents are sent to stop it, but while Ianto loves the outdoors, Owen is a far less happy camper…! The Torchwood range continues to mix things up, throwing the eager tea boy and the sarcastic medical officer together on a mission posing as campers. Written by Ianto himself, this setup should make good use of both David-Lloyd’s sharp sense of humour and his local knowledge of the Welsh countryside. A secret network of alien tech collectors, a virtual reality programme with sinister origins and an enemy that will cross the divide between universes just to conquer more worlds. It’s UNIT at its gritty best…! UNIT and the Master have history. Having Kate and Osgood meet another incarnation of the nefarious Time Lord should provide some juicy material, especially with the hints that they form an uneasy alliance. Throw in a deadly Cyber army and this 5CD box set could be one of the strongest spin-off offerings of the year. Gwen and Rhys are escaping disaster in a hatchback. Driving through the night, they must keep their wits about them to survive. Lost, alone and afraid, can they truly trust each other…? A tense character piece with a tinge of horror, this bottle episode from Guy Adams (Made You Look, Moving Target) looks to push Gwen and Rhys’ relationship to the limit. A Wirrn egg threatens to infect the heart of UNIT, Kate and Osgood are divided when the survivors of a crashed spaceship pose a moral dilemma, and a mental fortitude training retreat on a remote island hides a decades-old secret from UNIT’s past… This 5CD set series features the return of iconic intelligent insects the Wirrn (originally seen in The Ark in Space) and another parasitic organism in the shape of the Keller Machine (from classic Third Doctor tale The Mind of Evil). There’s also a new recruit in UNIT’s ranks, and a new threat in the Kalvyri, a species with a unique relationship with sound. 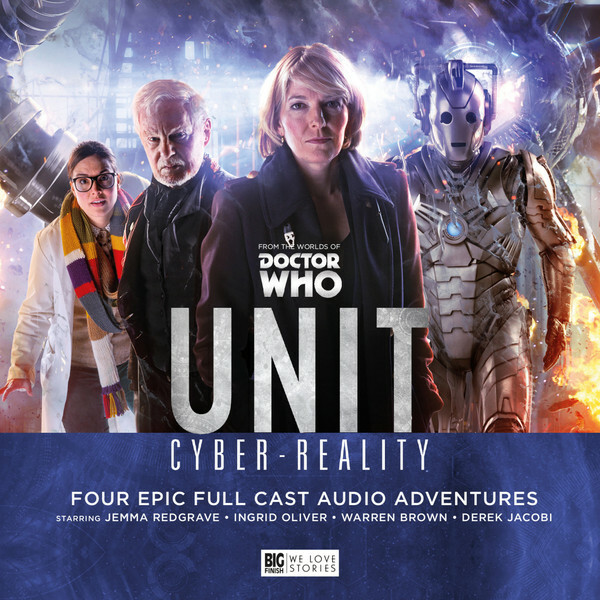 With stories that examine the terrible choices that come with working for UNIT and delve into the team’s darkest fears, this set brings a strong psychological element to the usual UNIT action. A Full Cast Audio Adventure on a single CD, starring Samuel Barnett as Norton Folgate and Tom Price as Sergeant Andy Davidson. Strange things can be found on the streets of 1950s Soho: gangsters, alien artefacts, and a 21st century Welsh police officer are just the start of it… The comedic combination that made previous Torchwood adventure Ghost Mission a delight are reunited – Sergeant Andy playing the down-to-earth straight man opposite the morally ambiguous and camp-as-Christmas Norton. Writer James Goss has hit on the canny idea of inverting the premise of the previous Andy/Norton tale, bringing Andy to the ‘50s to act as Norton’s assessor. With Andy as a temporal fish out of water, this one has a flavour of ‘Torchwood does Life on Mars’.